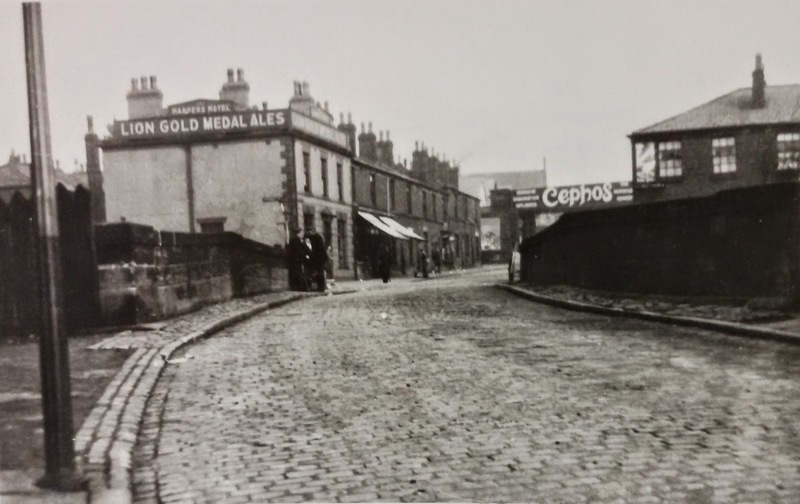 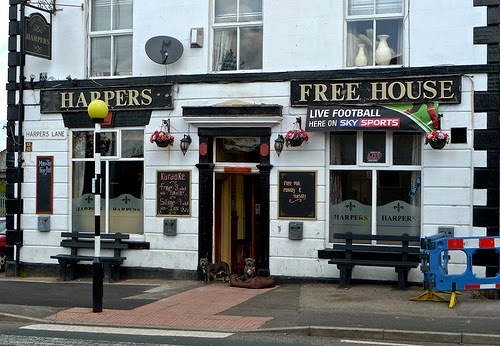 The Harpers Hotel is located alongside the bride over the railway line and was originally called the Bridge Inn from the 1860s through to about 1900. 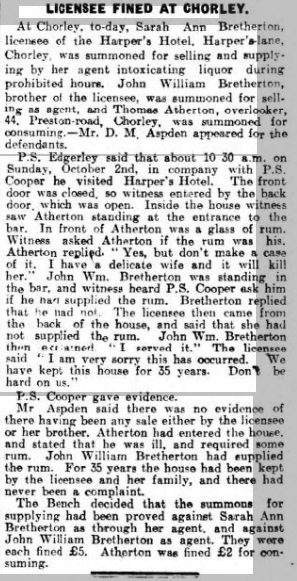 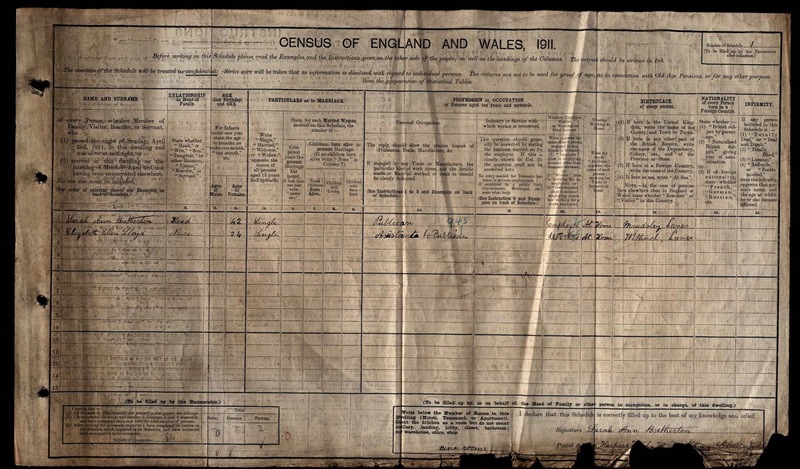 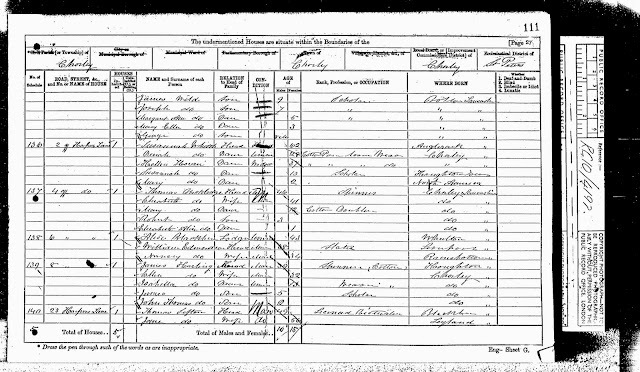 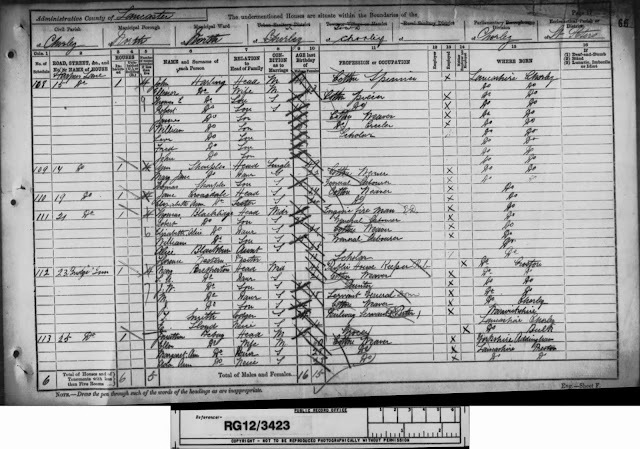 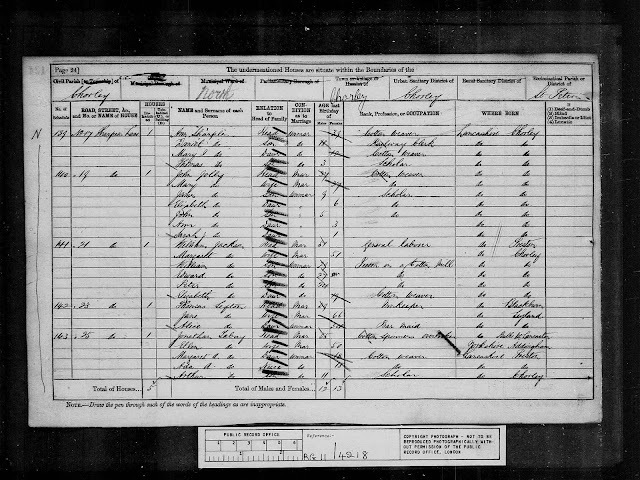 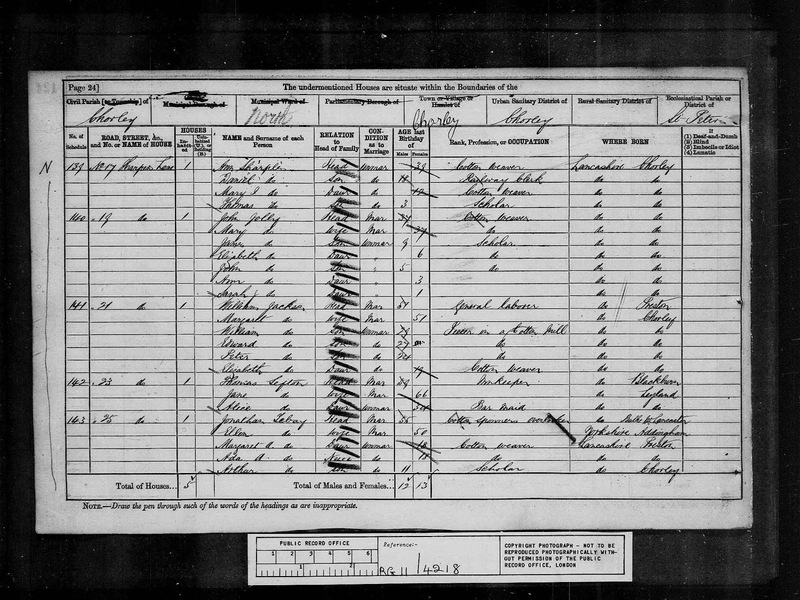 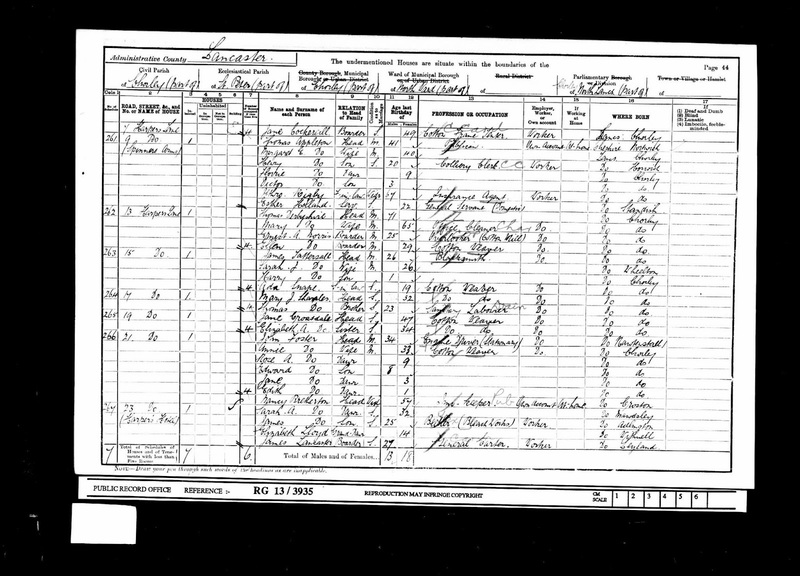 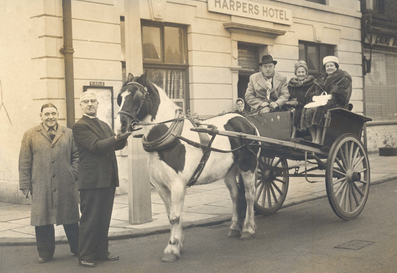 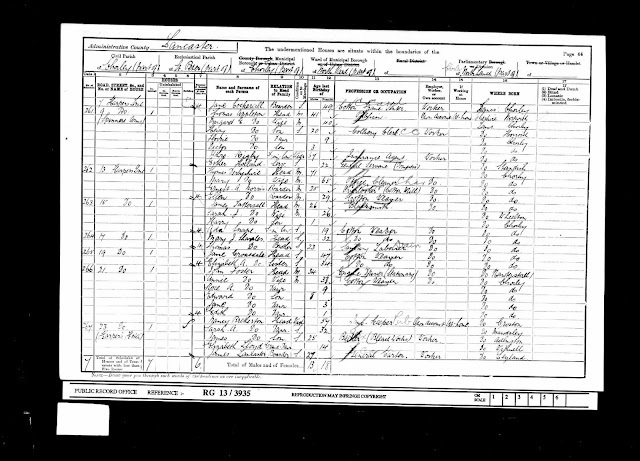 The census records from 1901 onwards confirm its name (and probably ownership) had then been changed to the Harpers Hotel. 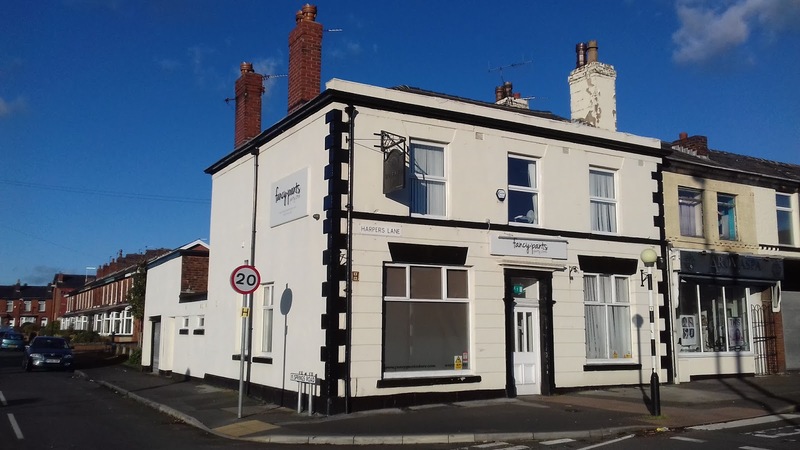 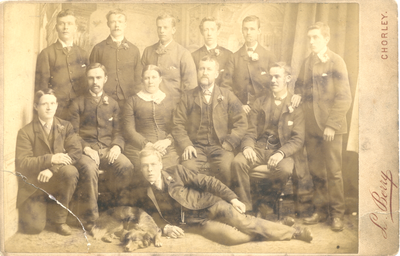 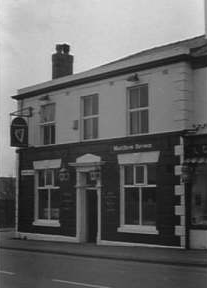 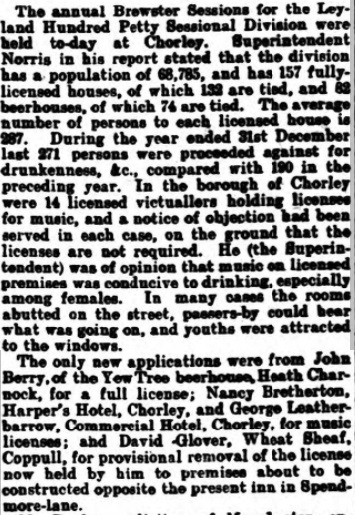 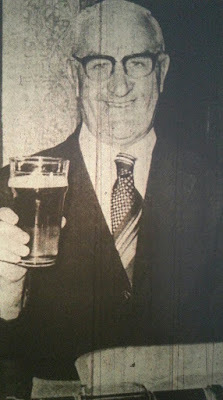 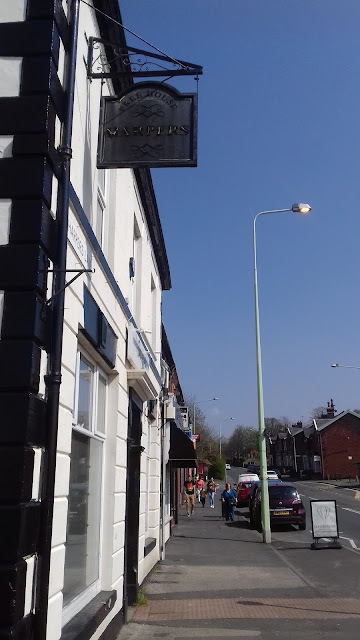 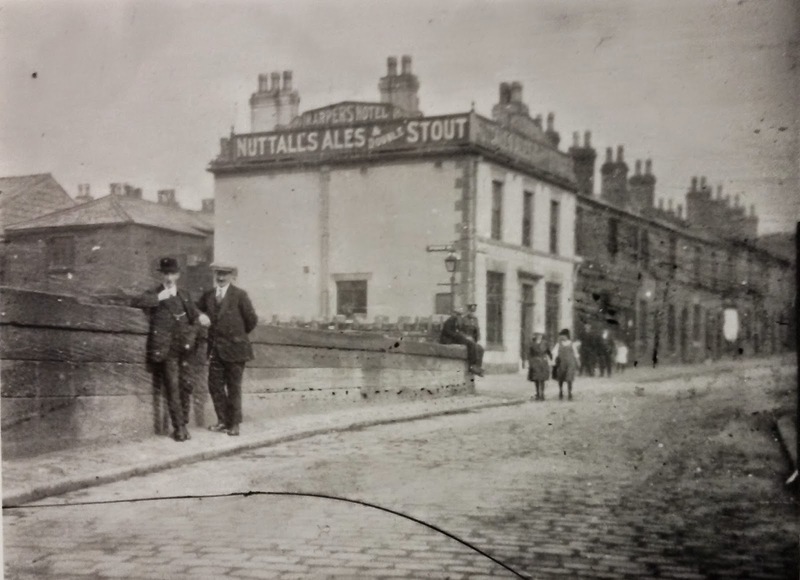 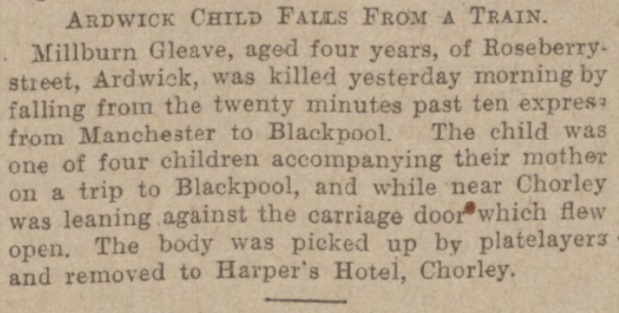 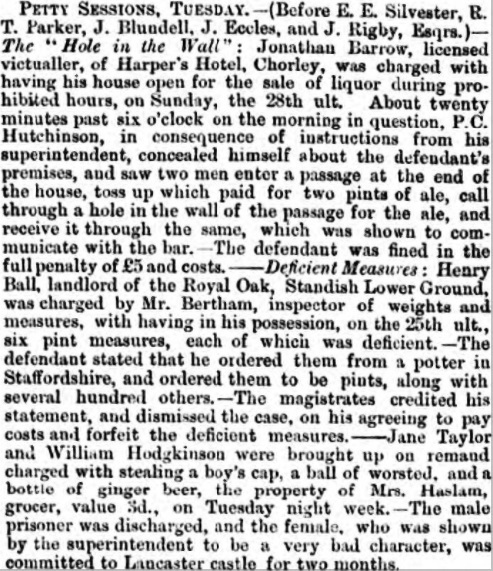 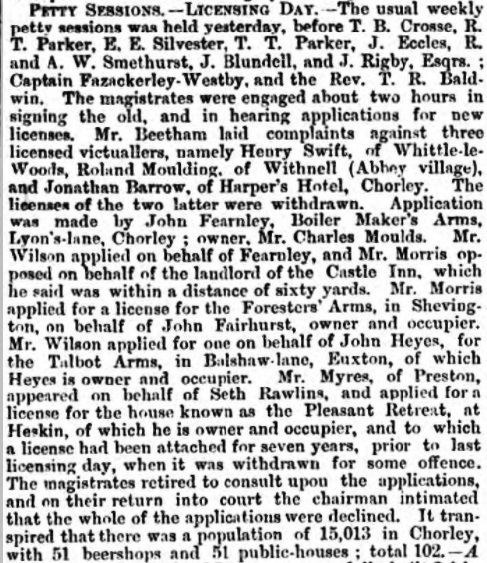 Listed licensees were Jonathan Barrow (1865), Thomas Sefton (1871-82), William Bretherton (1889), Mary Bretherton (1891-1901), Nancy Bretherton (1904), Sarah Ann Bretherton (1911-21), James Steward (1936) and Billy Herbert (1949-76). 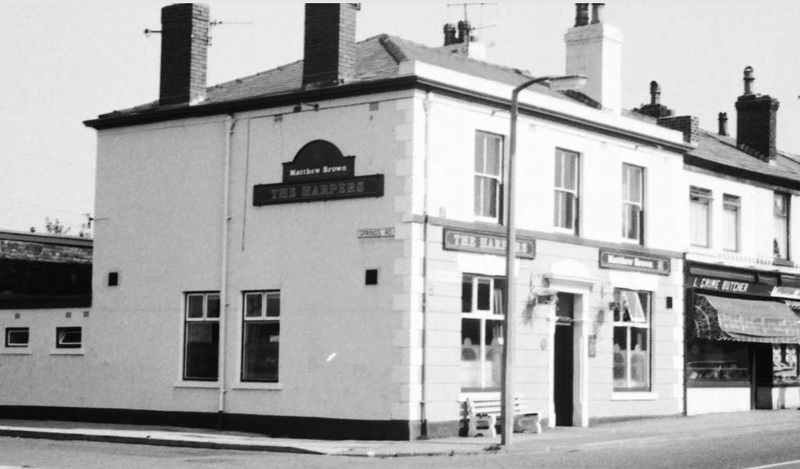 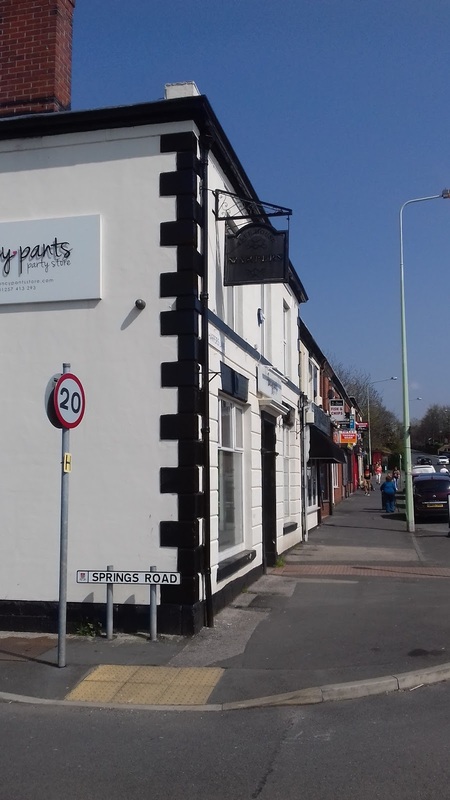 Whilst no longer a hotel, the original Harpers Arms building remains and is currently being used as a retail premises for party accessories.